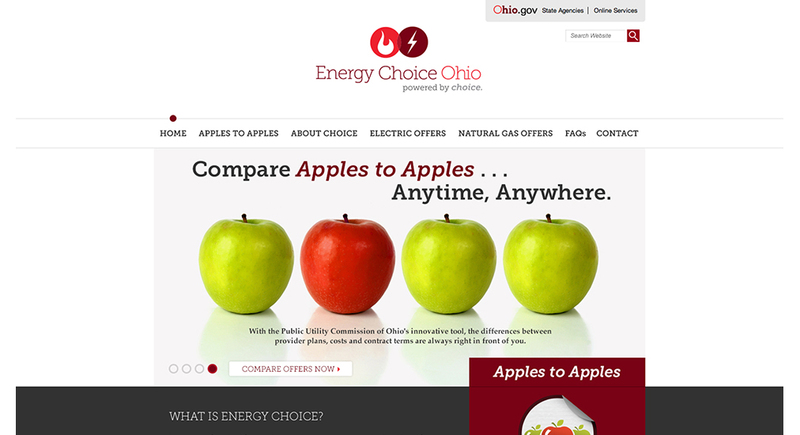 Energy Choice Ohio is a brand new natural gas and electric utilities comparison tool and campaign of the Public Utilities Commission of Ohio (PUCO). The PUCO partnered with Quez Media to plan, brand, develop, write, and launch a campaign in a way that no other state department had ever attempted before. 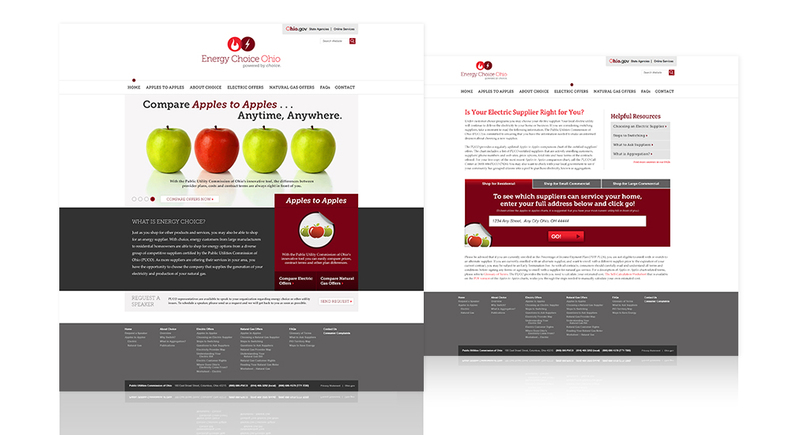 The result is a very cool and vivid brand using the state of Ohio's brand colors. 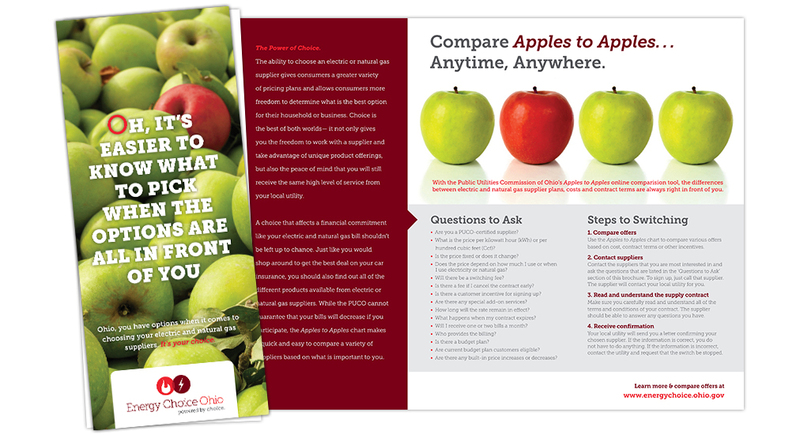 Marketing and advertising taglines are built cleverly around the Ohio.gov "O", and the new Apples to Apples comparison tool is big, bold, juicy, and simple to use. The new website is incredibly informative and helpful to users who wish to compare service providers to find the best offers in their area.